The Konnis Scanner Pro driver controls the 2D barcode scanner supplied by Konnis. 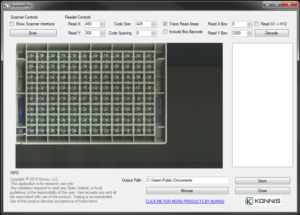 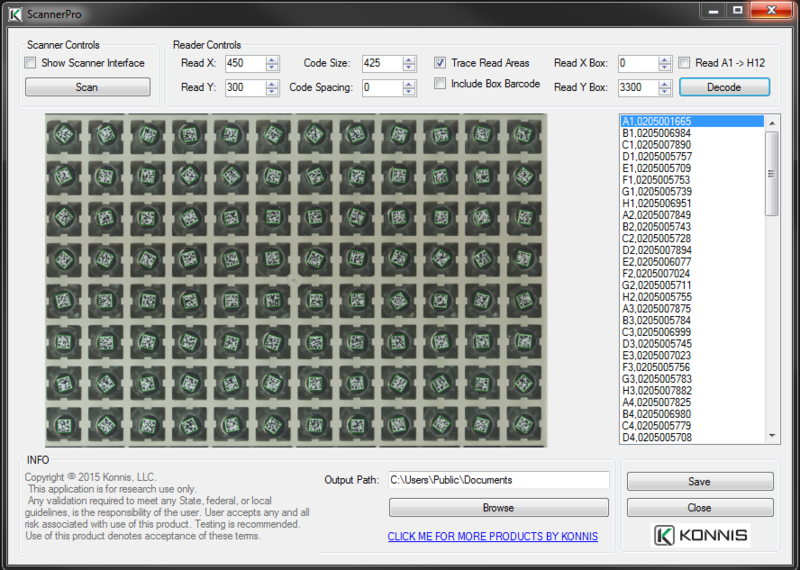 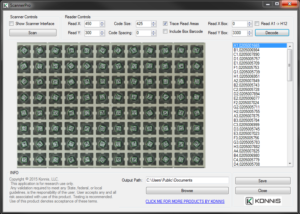 The driver reads from tubes and labware 2D barcodes recording their location in a .csv file. 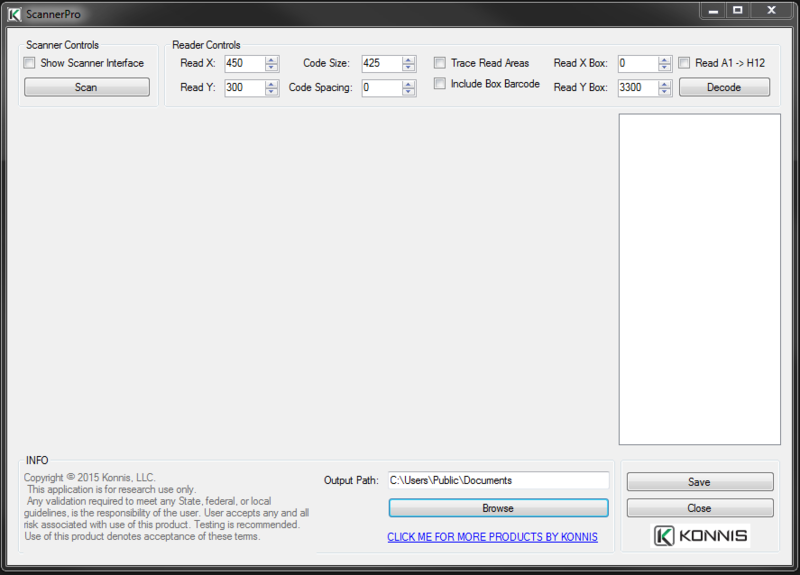 The driver GUI provides commands to control the the scanner on the bench. 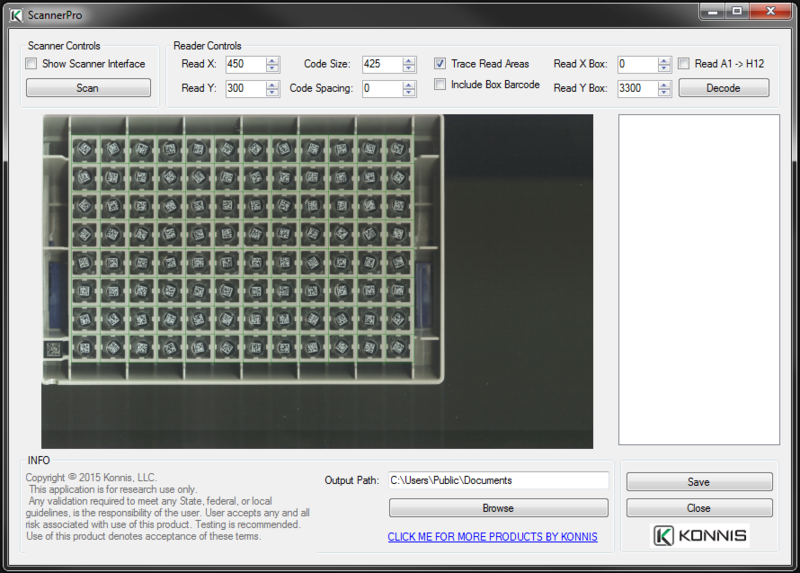 Position data from initial strip tube scan and position data from 2D output can be used to track samples.